Shopping Campaigns are a sure fire way to drive sales to a WooCommerce business. If your product catalog is vast or your inventory keeps updating constantly, creating and managing your product feed becomes difficult. Google format compliant product feed is paramount to any successful Shopping Campaign. We will discuss how Shopping Ads can give your business an edge, how to generate your WooCommerce Google product feed files using the ELEX Google Product Feed Plugin, uploading it to Google Merchant Center and setting up your first Shopping Campaign and more, in this article. What can Google Shopping Ads do for your WooCommerce business? Google Shopping Ads, previously known as Product Listing Ads, is a special format of ads tailored to retail web stores. It drives the non-branded product search and capitalizes heavily on product variations. Above all, Shopping Ads display relevant retail search results in an easy-to-digest format with pictures and related search results. Businesses are realizing the advantages of advertising using Google Shopping Ads. According to Adthena’s report (requires registration, but is a fascinating read) Shopping Ads account for 76.5% of all retail search ad spend and 60 percent of all search volume, seeing a significant jump from the previous year. Furthermore, Google is constantly making improvements like increasing the real estate Shopping Ads have on the Search Engine Results Page, increasing their frequency and also relevance. Google Shopping ads give the best bang for your buck, as far as ad formats for retail go, and they continue to outgrow traditional ad variants like Text Ads every quarter. When you search for “Black and White Shirts” on Google, more often than not, you are greeted with a similar carousel of several products with slight variations, maybe in the color or pattern. They have a clear picture of the product, a visible URL and most importantly, the price for comparison. As a result, Shopping ads allow potential customers to make expedited buying decisions. You can choose to display additional text like “Free Delivery” or some other piece of information that is bound to increase sales, also. In particular, WooCommerce stores that provide niche products with a lot of variation are best set to use Google Shopping Ads. Since similar products with variations are what pop-up, the likelihood that a significant number of related products will show up is very high. We’ve established how Google Shopping Ads can benefit your WooCommerce store. Next, we’ll go over the steps involved in getting your products listed as Shopping Ads. Setting up a Google Shopping campaign is different from setting up traditional Google Ads. Traditional ad variants like Text ads are created around relevant Keywords. On the other hand, Google Shopping campaigns focus more on products and their attributes to generate results for searches. A Product Feed containing this data for uploading to the Google Merchant Center. In layman’s terms, a Product Feed is a file that has all the information Google needs about your Product, in a format that Google can understand. So you’ve gotta generate a product feed of all the products you wish to list as Google Shopping Ads. Keeping the feed Google Merchant Center compliant, while also generating fresh WoooComerce Google product feed files to better reflect your inventory on a regular basis is a daunting task, to say the least. Effortlessly generate unlimited Google Product Feeds to your specifications. We’ll show you how easy it is to set up your first Shopping Ad Campaign with the help of ELEX Google Product Feed Plugin. Step 1. Choose a country. Depending on the country, Google’s requirement of product data changes. 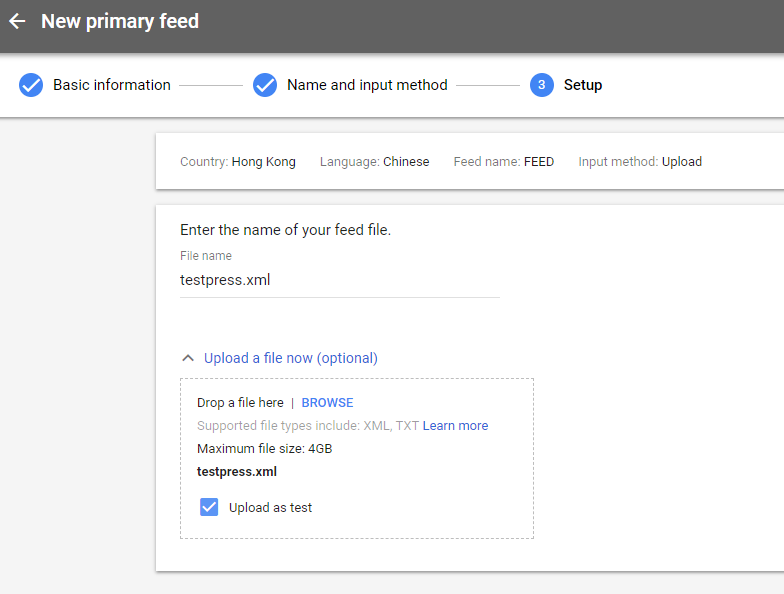 ELEX Google Product Feed Plugin lets you manage feeds for international Ad campaigns by showing those attributes that are relevant to your country of choice. Select a country and click Next. Step 2. In this window, you can map your products to categories in the Google Taxonomy of categories. Moreover, Google needs some product types like Electronics to be mapped to mandatory Google Categories. Properly mapping your products to categories ensures relevance and visibility. ELEX Google Product Feed Plugin makes this process extremely straightforward and easy. Step 3. Google Merchant Center needs other product data like price, availability, identification numbers like GTIN, MPN to better understand the product and serve ads with more relevance. You can map your own attributes to Google ones in this window. As a result, you can easily ensure your feed’s Google format compliance. Additionally, you can also choose to map your products to custom fields. Step 4. Here, you can further customize your WooCommerce Google Product Feed file by deselecting the ones that you don’t wish to show up in the XML file. ELEX Google Product Feed Plugin lets you choose these by specific product ID tags. You can list multiple IDs here by simply using a comma to separate the IDs. After you choose the products you wish to exclude, click on “Generate Feed”. Et Voila, your Product Feed is created and ready for upload to Google Merchant Center. Step 1. 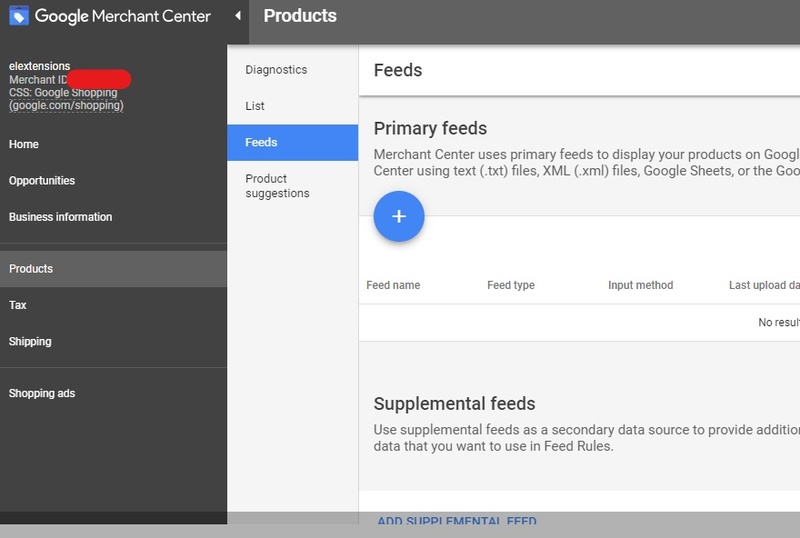 Now that you’ve got your XML file ready for upload, head on over to your Google Merchant Center account and in the Products Tab, under Primary Feed, click the plus to go to the Feed Creation Wizard. Set your language and target country. Step 2. In the next window, you’ve got to give your feed a name and choose which way you’d like to refresh your WooCommerce Google product feed. Notice the second option. Here, you can set up the Google Merchant Center to fetch WooCommerce Google Product Feed files from your site periodically. With the ELEX Google Product Feed Plugin, you can set your WooCommerce Google product feed files to be auto-generated every month, week or day depending on your product optimization/update schedule. Google Merchant grabs the generated feed file. As a result, your ads stay relevant as they will reflect any and all changes you’ve made. Step 3. In the next and final window, you’ll need to give the exact name of your feed and upload the actual generated XML file. Your feed should now be visible in the Products tab, under Primary Feed. Click on to finish up. After signing in to your Adwords account, under the Campaigns tab, click on the ‘plus’ sign to create a new Campaign. In the dropdown pick Shopping Ads. In the settings tab, you can give your Campaign a name. You’ll need to give the Google Merchant Center ID which hosts your product data in the Merchant ID section. This links your feed to your new or existing ad campaign. Additionally, you can tweak your ads to your specific requirements with the numerous settings that Adwords offers fairly simply. Shopping ads need constant tweaking to be the most effective. This is because Shopping ads focus on the product and its attributes to serve relevant ads, unlike traditional ads like Text Ads which focus on keywords. You’ll see some of your ads gaining more results than the others. Naturally, you would also want to test out different variations or countries as a part of your marketing strategy. Above all, improper management of your WooCommerce Google product feed files will hold you back. Ensuring your feed files’ Google format compliance requires utmost care. Moreover, your Merchant Center account will face suspension if you upload incorrect feed files. Also, if your WooCommerce store has a big catalog of products or you offer seasonal products, you’ll need to create and manage a lot of WooCommerce Google product feed files. ELEX Google Product Feed Plugin lets you batch manage all your WooCommerce Google product feed files from a single window letting you focus on marketing strategies. Optimizing your ads is a constant process that involves a fair bit of trial and error. ELEX Google Product Feed Plugin lets you create unlimited WooCommerce Google product feed files based on your requirements. It automates the process to reflect any changes in inventory. Moreover, it is highly customizable letting you list your unique products under custom categories and attributes that best describe it. In conclusion, while Shopping Ads are sure to get your WooCommerce site sales, maintaining feeds is tough. ELEX Google Product Feed Plugin creates Google Format compliant feed files and provides additional features like scheduling and custom tag creation. Above all, it helps you focus on growing your business by developing marketing strategies around Google Shopping Ads. You can find more details about the ELEX Google Product Feed Plugin, including exhaustive documentation, here.